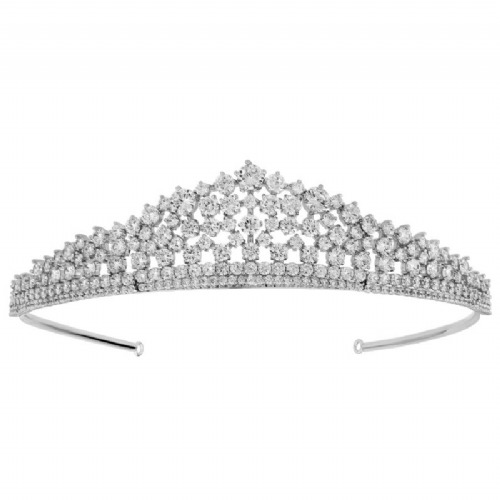 We have a wide range of crystal bridal tiaras made to suit the vintage, modern or romantic bride. Our vintage wedding tiaras look beautiful with an updo or with your hair down and also they look lovely on brides who have short hair and are very easy to wear without the need to fix in place. 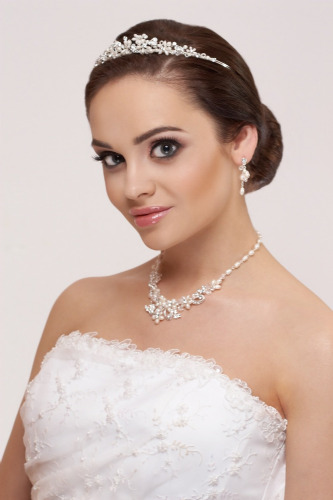 Uniquely designed and encrusted with crystal or pearls our cubic zirconia and Swarovski crystal bridal tiaras and are silver rhodium plated.